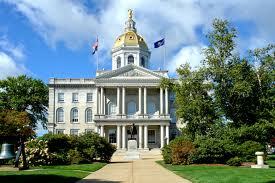 CONCORD, NH (AP) – The New Hampshire House has voted to send a bill that would reauthorize the state’s version of Medicaid expansion for further study, giving it an uncertain future. This bill would have reauthorized the New Hampshire Health Protection Program, the state’s program that provides health insurance coverage for over 50,000 low-income adults who do not qualify for Medicaid. If not reauthorized, the program will end on Dec. 31. The House on Thursday agreed with a committee recommendation that more work is required to create a program that taxpayers can support. A commission studying the future of New Hampshire’s expanded Medicaid program recommended last year it continue for five years, but move toward a fully managed care model in 2019. The commission said switching to managed care would provide more straight-forward opportunities to address premium increases in the individual market and consistent benefits for all Medicaid participants.